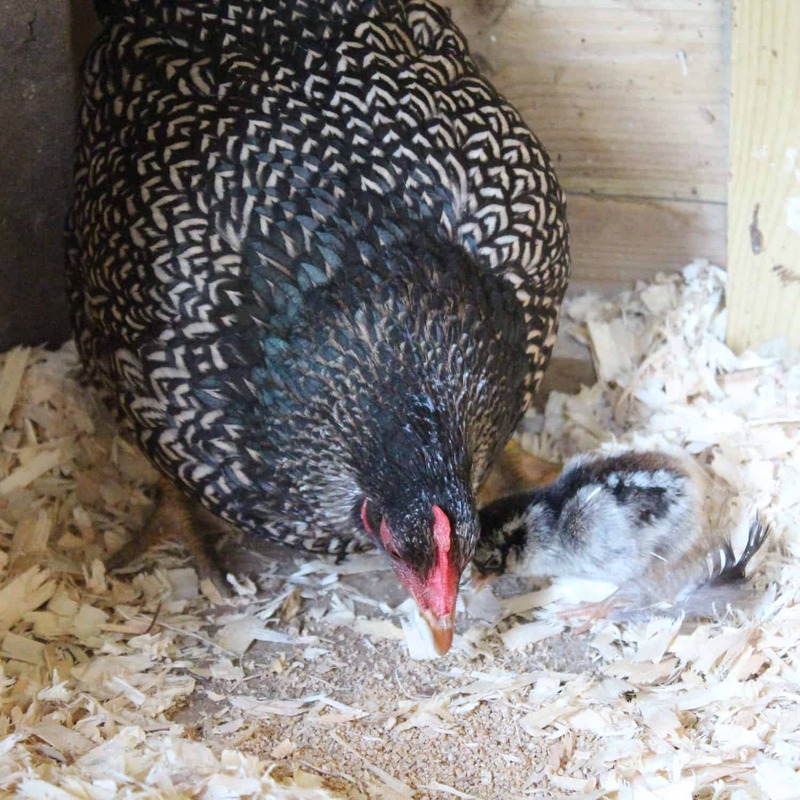 Barnevelders can trace its history back to the 1800s when the centre of egg production was in Holland. 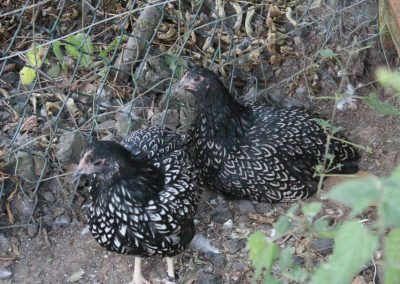 Demand for a profuse brown-egg layer was building up and the Dutch producers looked to fill that market. As a result, in 1885, the first cross destined to become the Barnevelder that we know and love today was put into place. 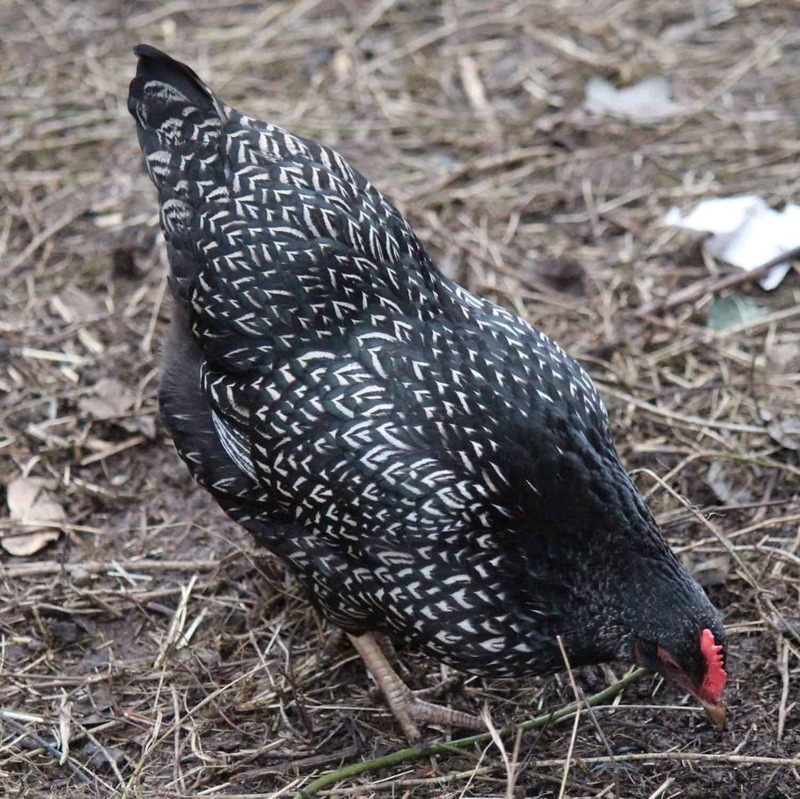 The Cochin had just arrived from Asia and was put to a fowl local to the area of Barneveld. 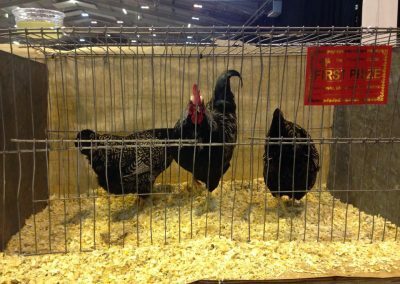 It is not really known why Cochins were used as they are neither particularly good layers, nor particularly useful as meat birds. The second cross was made with a lot more purpose. 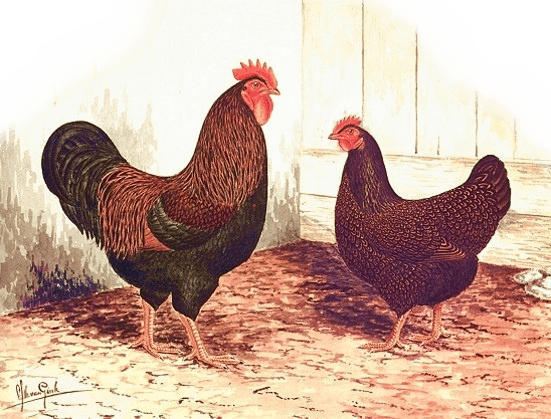 The Croad Langshan, a breed that had been introduced from China by Major Croad in 1872, were large birds, profuse layers of a deep brown egg even through winter, very friendly, and were the second cross used. 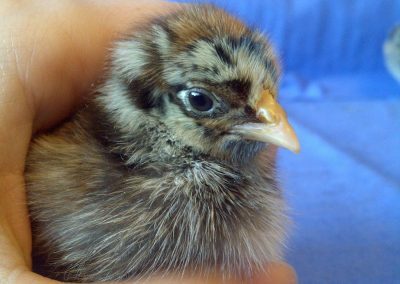 The third cross, to Buff Orpingtons, is said to have been to increase productivity, as, back then, Buff Orpingtons were excellent layers. Sadly, that is not so much the case nowadays. 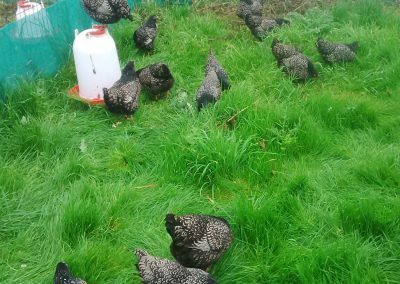 Once these initial crosses had been made, producers selected almost exclusively for egg production. 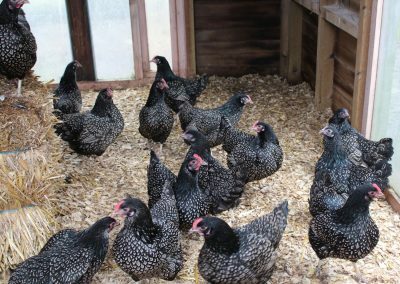 They favoured birds who laid well and only dark brown eggs of a good size. 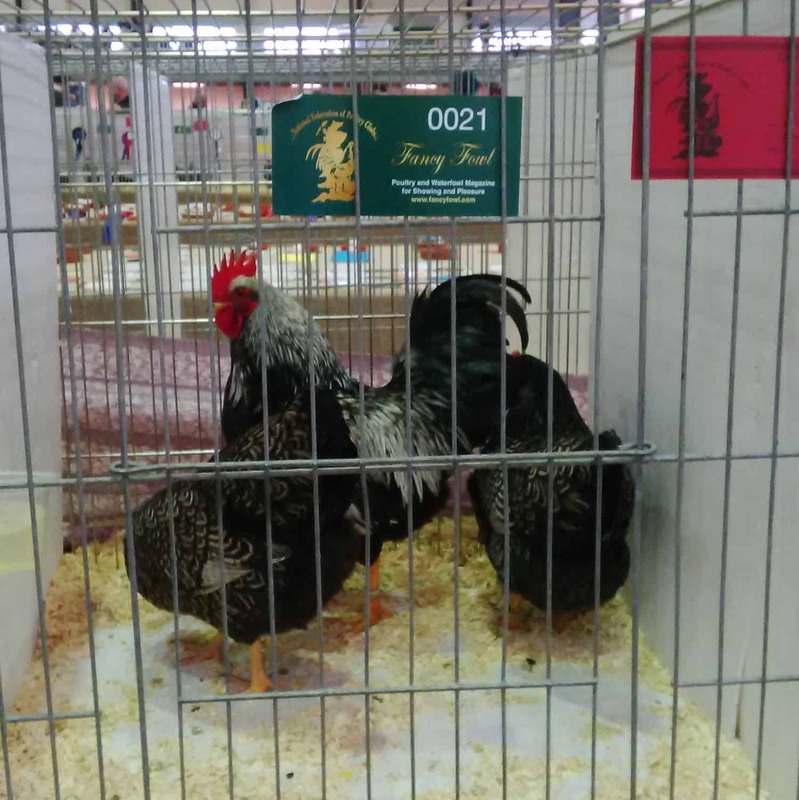 From 1899 to 1910, breeders started selecting for shape and type of bird as well, so that, by 1910, they could propose a new breed standard, with the double laced being the main colour. 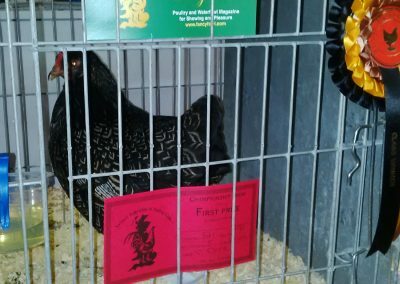 The ideal chestnut hen. 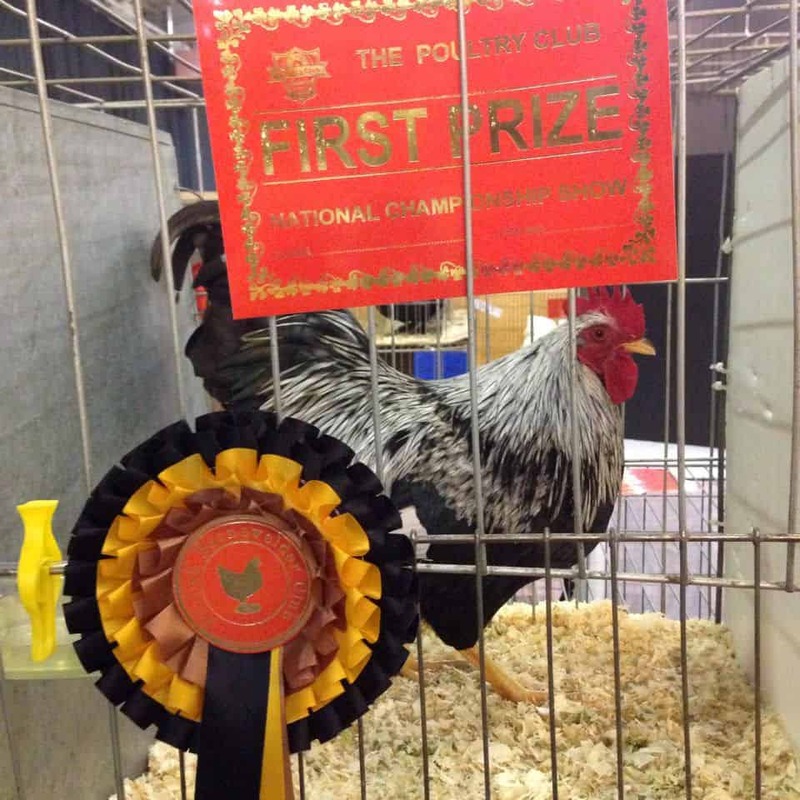 Photo courtesy of the Poultry Club of Great Britain. 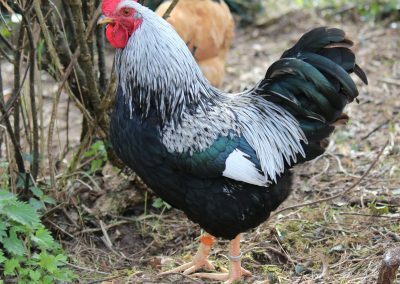 Barnevelders reached the shores of the UK in the 1920s and breeders formed a club with the aim to standardise the breed over here. 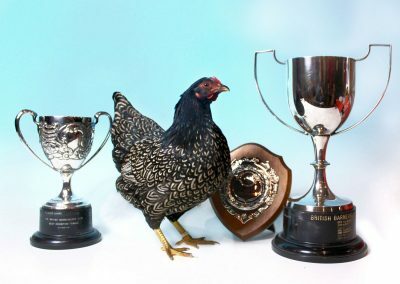 It wasn’t until 1926 that the first British standards were published as an addendum to the official Poultry Club Standards. 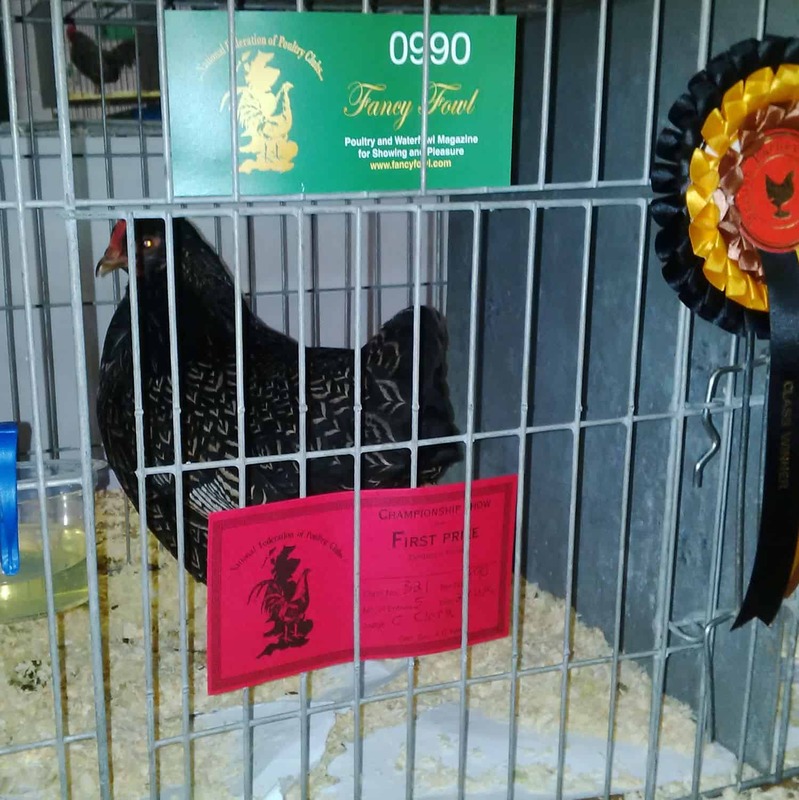 This didn’t impact the success of the breed, which proved to be a very popular fowl not only thanks to its beautiful eggs, but also with its striking chestnut brown double lacing. As a result, the 1924 club show boasted 192 entries. 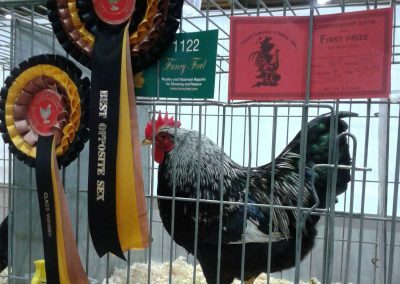 The breed also did exceedingly well in laying trials, where it won many trophies and medals over other varieties. 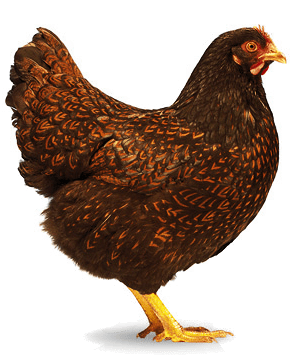 One such incredible result was at a trial in 1932; a single hen laid 266 eggs in 48 weeks – 249 of which were super grade. 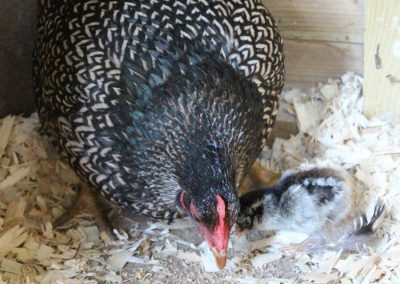 Egg-laying wasn’t the only asset to this delightful bird; according to the Feather World 1930, certain breeders were achieving 2kg birds at only 14 weeks of age, clinching this breed as an ultimate dual-purpose fowl. 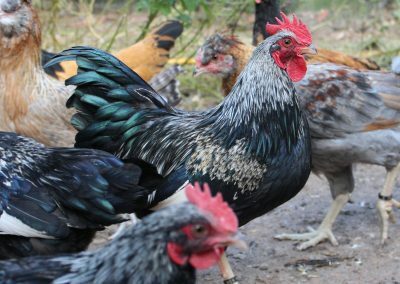 Bantams made their first appearance in 1930. 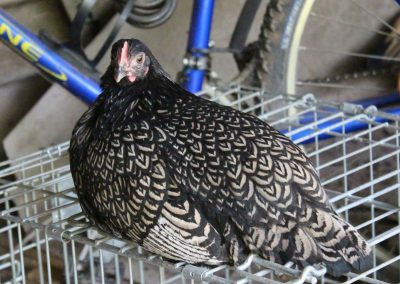 Sadly, due to the breeds used in their makeup, they lost the precious deep brown eggshell colour of the large fowl counterpart and, thus, were not very sought-after. The Second World War further impacted their numbers causing them to decline into almost oblivion. 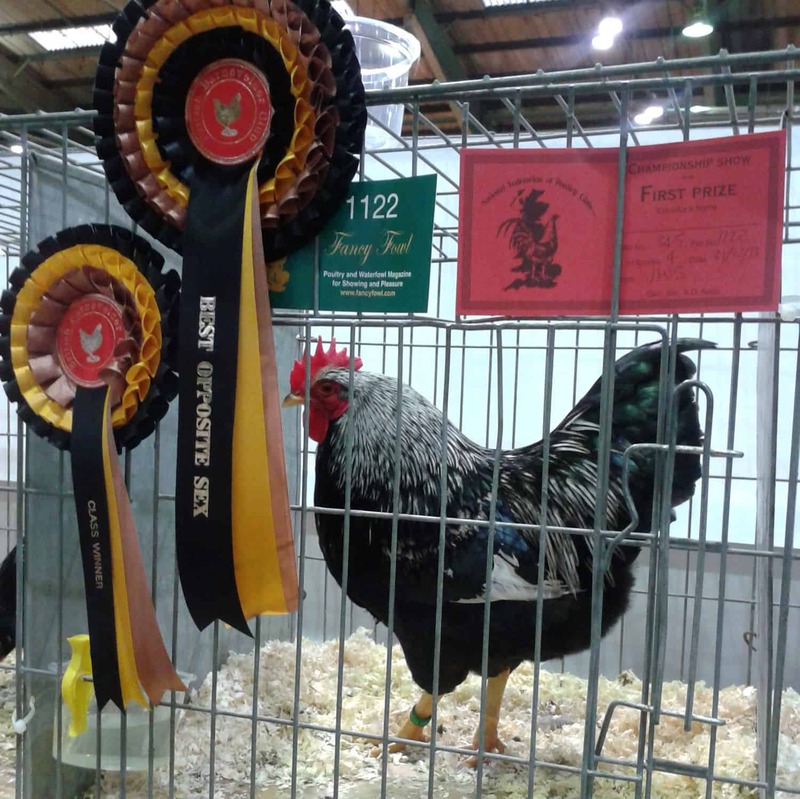 Nowadays, Barnevelders are woefully low in numbers, with the club show only attracting entries that number in the 60s. 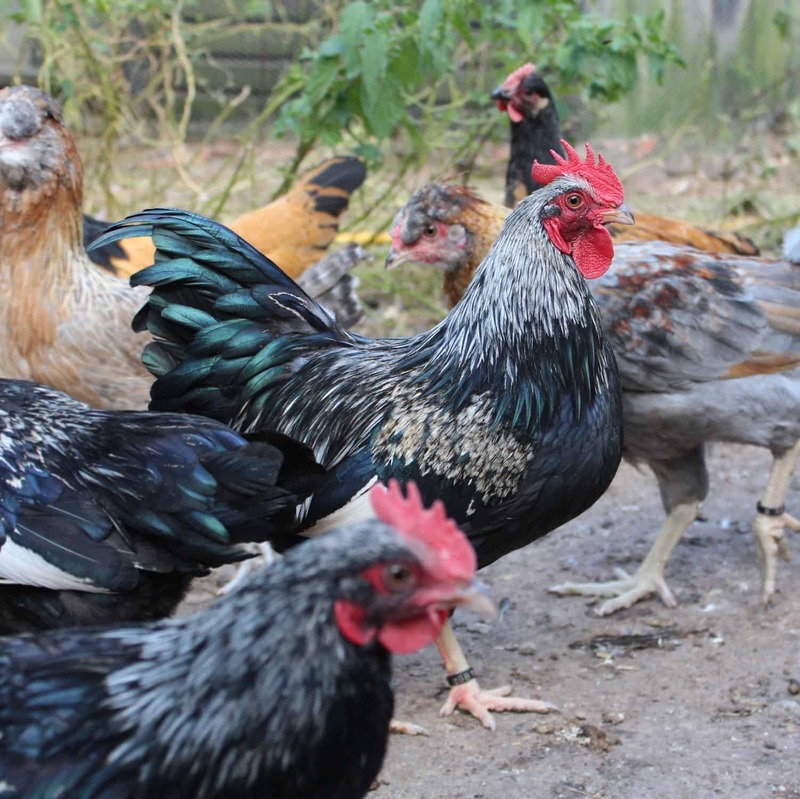 With the current movement towards ethical food, self-sufficiency and backyard hens, the club of today is hoping to restore the breed back to its former glory. 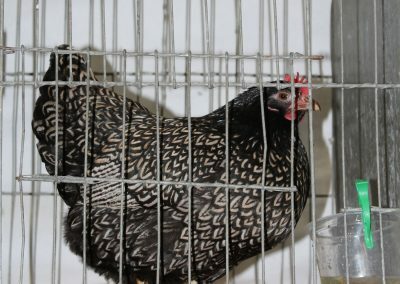 The Barnevelder is the sum product of its history. 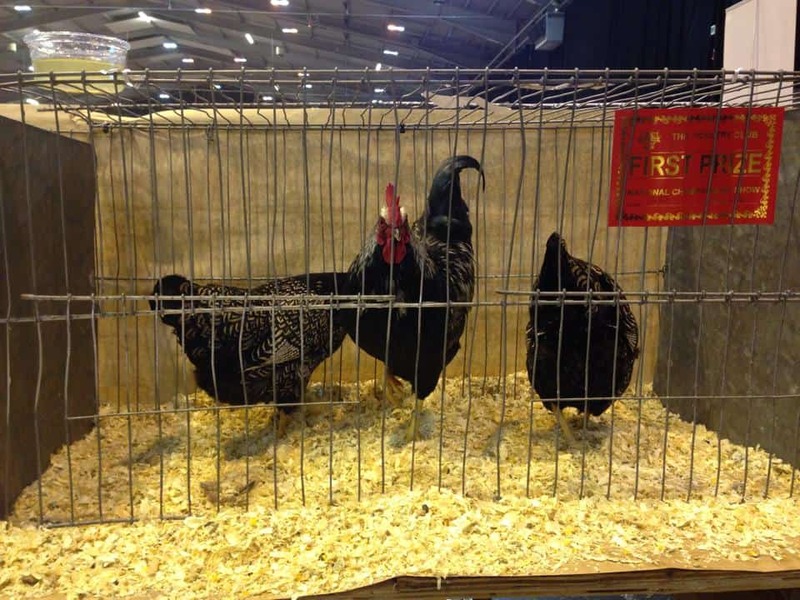 You can find the retained features from the diverse breeds in its makeup. 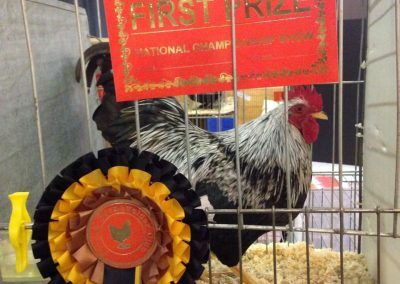 A tame bird, friendly and chatty to its owners, they make excellent pets, and we especially recommend the bantams for children. 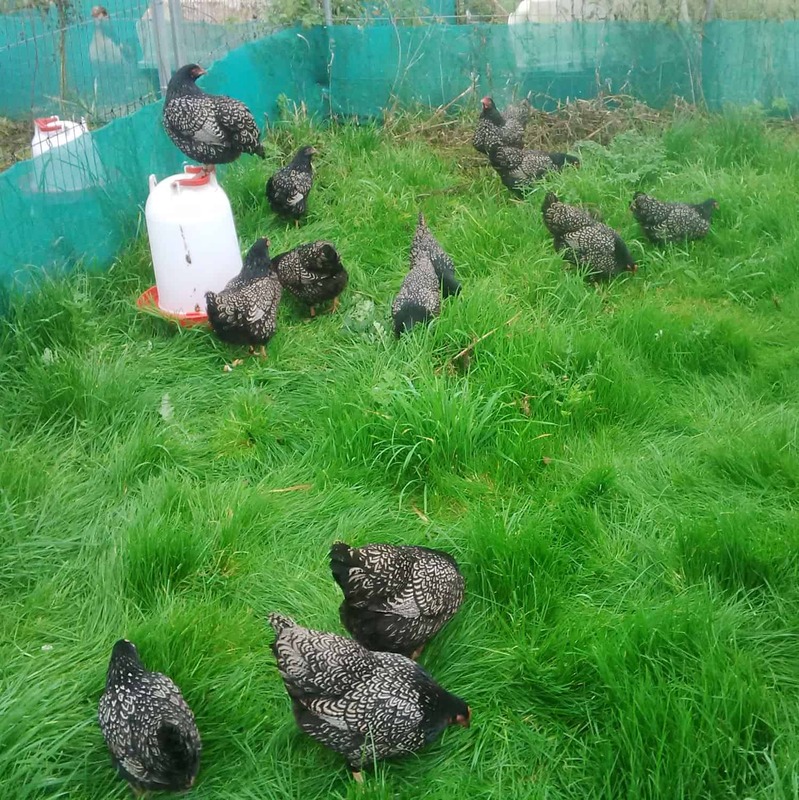 The bantams don’t need a huge amount of space, and do well in spacious runs, but will enjoy and make the most of your land if you let the free-range. 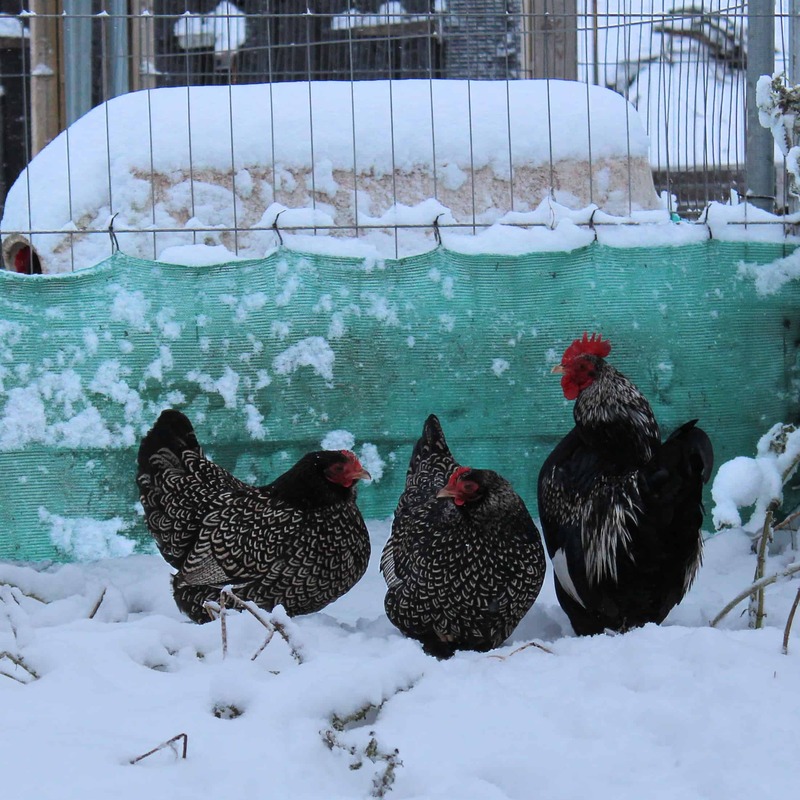 They love to forage if given the chance, so we much prefer to see all of our birds loose rather than penned up. 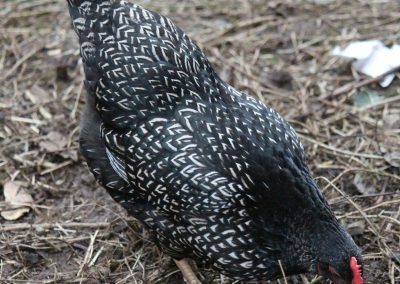 Large fowl can get fat, so make sure you keep them active either with lots of space or by encouraging them to scratch for feed. Carriage: Alert, upright and well balanced, the body appearing compressed, and the back concave. 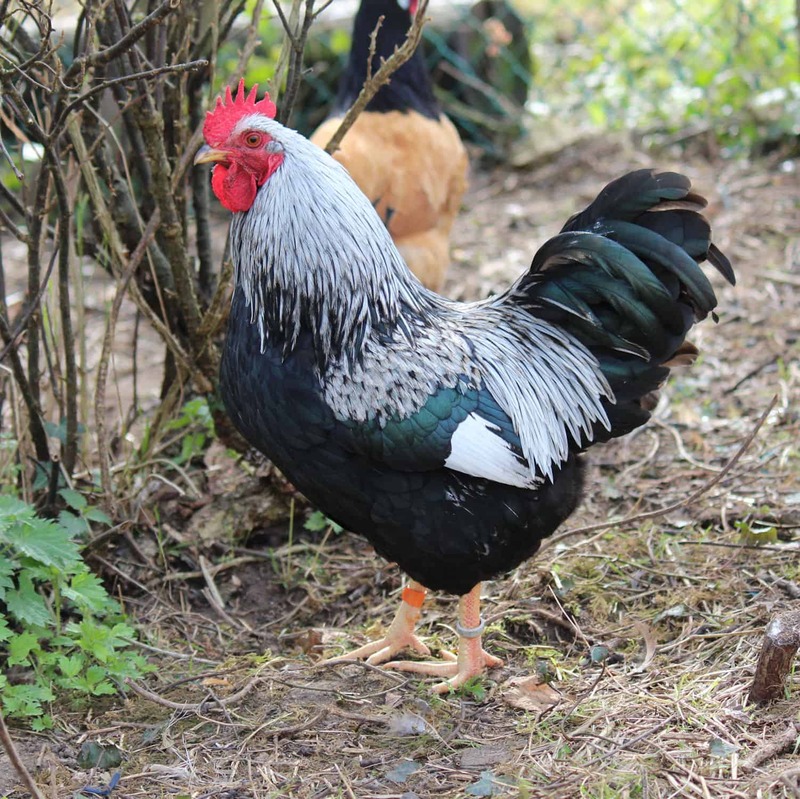 Type: Body of medium length, deep and broad shoulders and high-set saddle. Breast and rump deep, broad and full. Wings rather short and carried high. Tail full, with graceful and uniform sweep. Head: Carried high with neat skull. Beak short and full. Eyes very bold, bright and prominent. Comb single, upright, of medium size and well serrated, with a firm base, the heel to follow the neck. 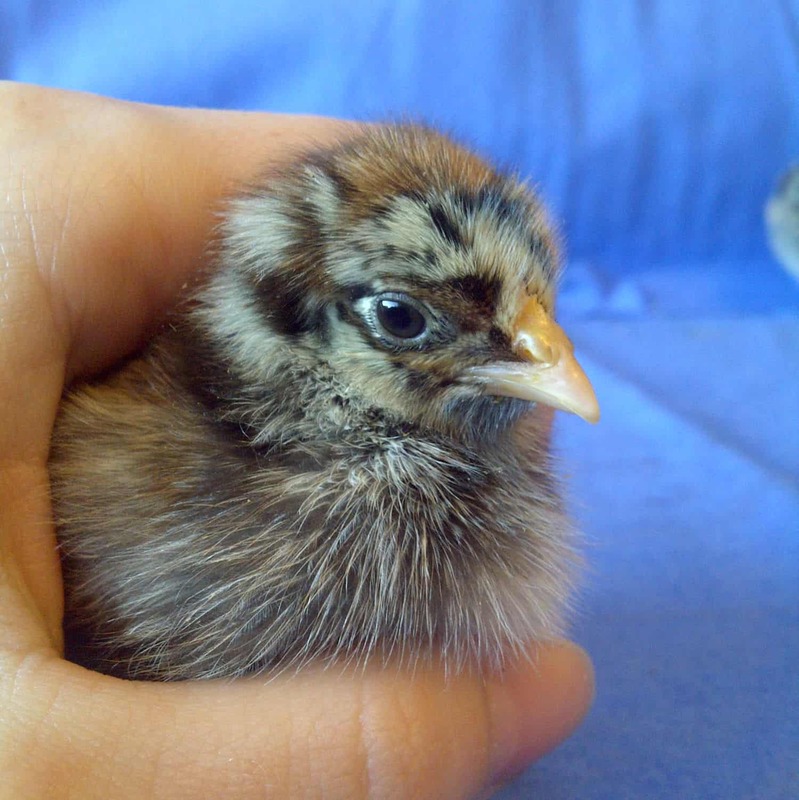 Face smooth and as free from feathers as possible. 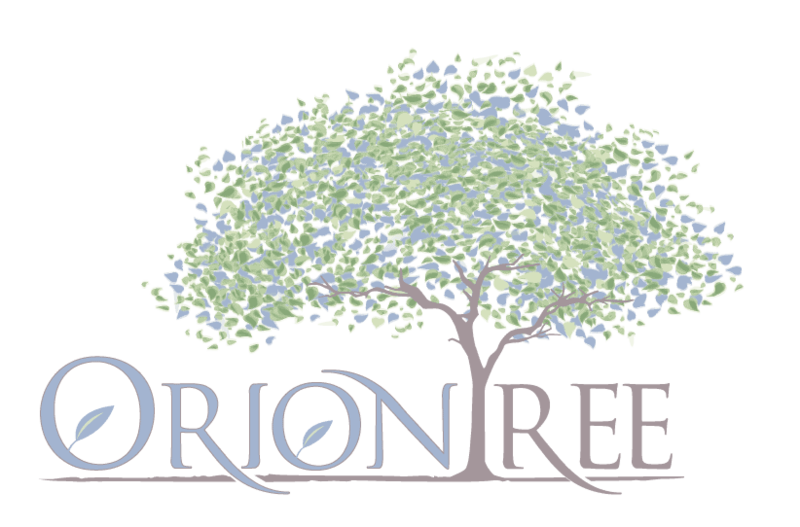 Ear-lobes long. Wattles of medium size. Neck: Faily long, full and carried erect. Legs and feet: Thighs and shanks of medium length to give symmetry. 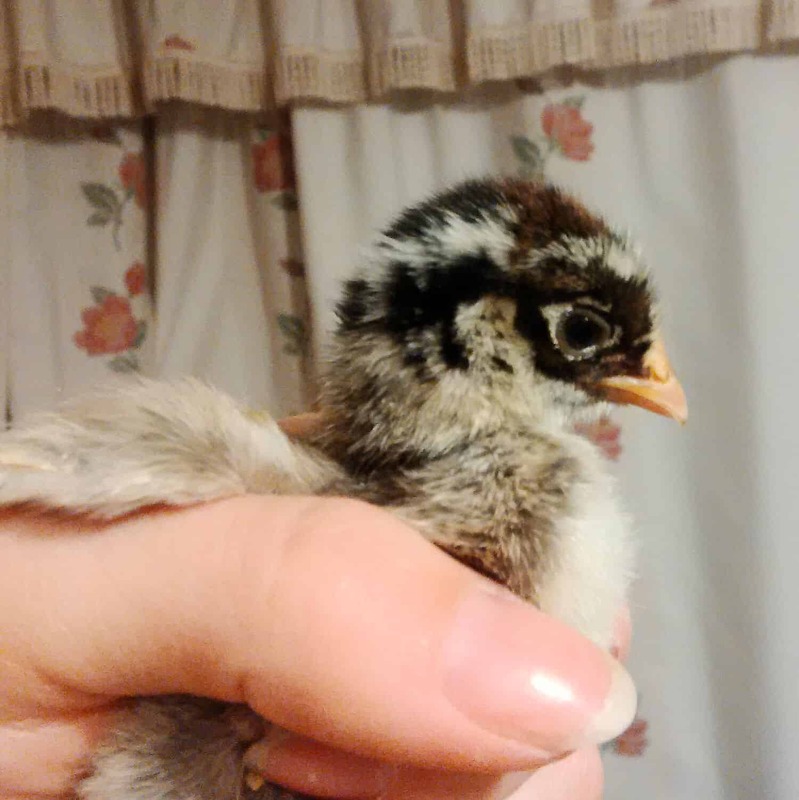 Shanks and feet free from feathers. Toes, four, well spread. 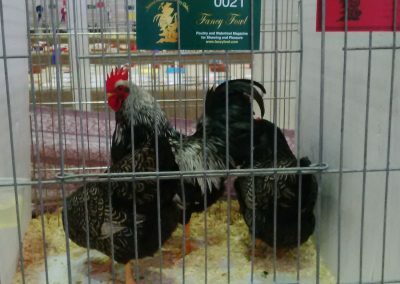 Plumage: Fairly tight and of nice texture. Beak yellow with dark point (in the silver, horn). Eyes orange. 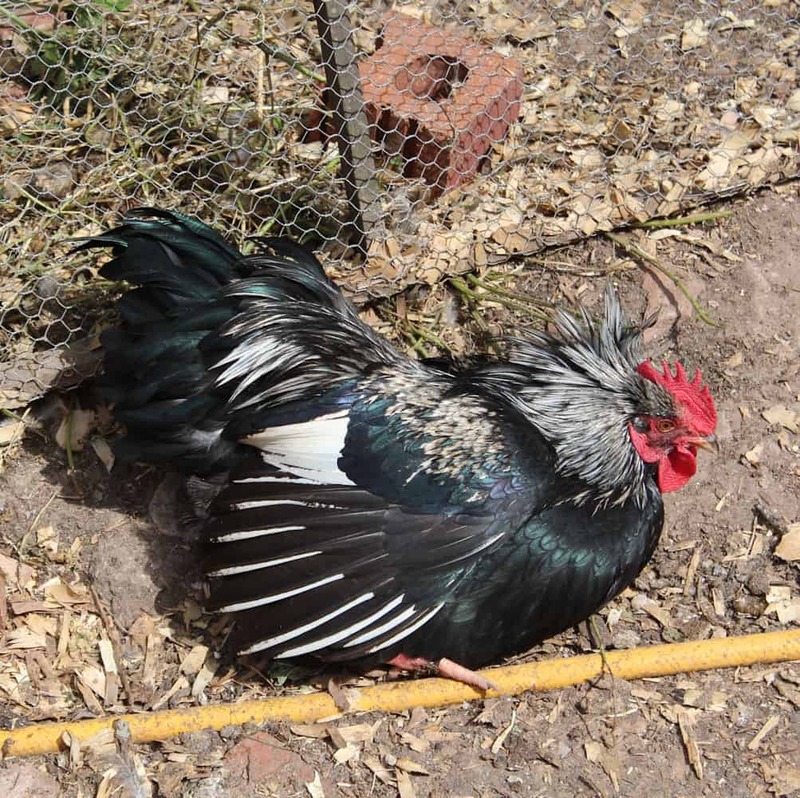 Comb, face, wattles and ear-lobes red. Legs and feet yellow. 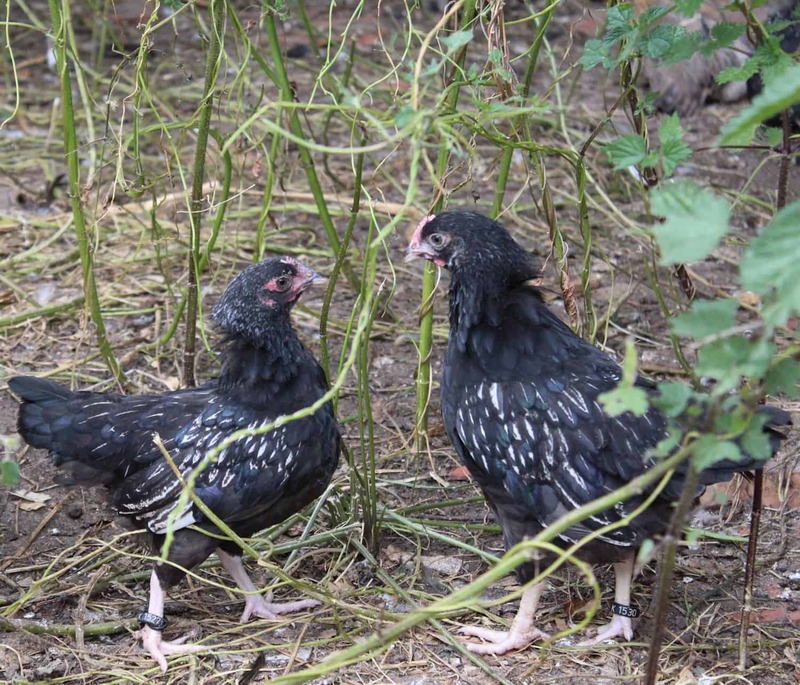 Male and female plumage: Black with beetle-green sheen. 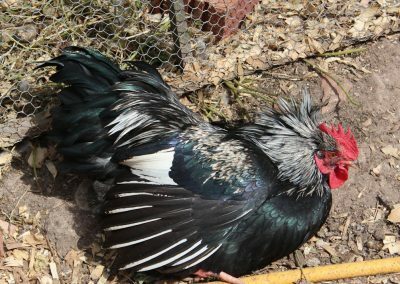 Male plumage: Neck and saddle hackles to match for colour and definition, each feather to be black (beetle-green) with slight red-brown edging and red-brown centre quill (stem) finishing black to tip. Breast red-brown with black (beetle-green) outer edging or lacing. 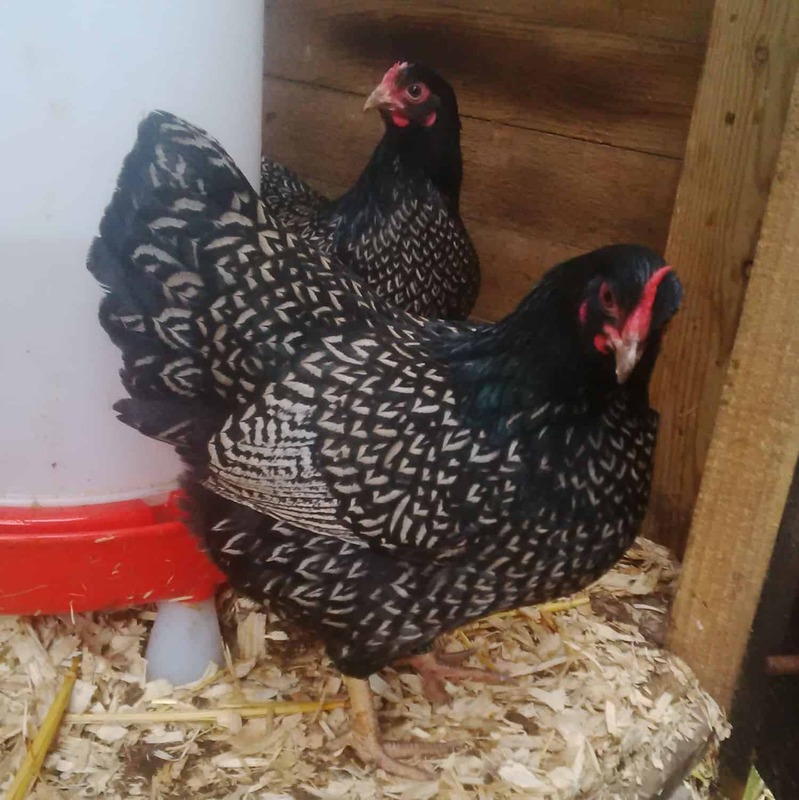 Back and cape red-brown feathers with very wide black lacing. Abdomen and thighs black (beetle-green) with black down. Wing bow and bar red-brown with broad lacing; primaries, inner edge black, outer red-brown; secondaries, inner edge black, outer red-brown finely laced with black, showing when closed as a red-brown bay. 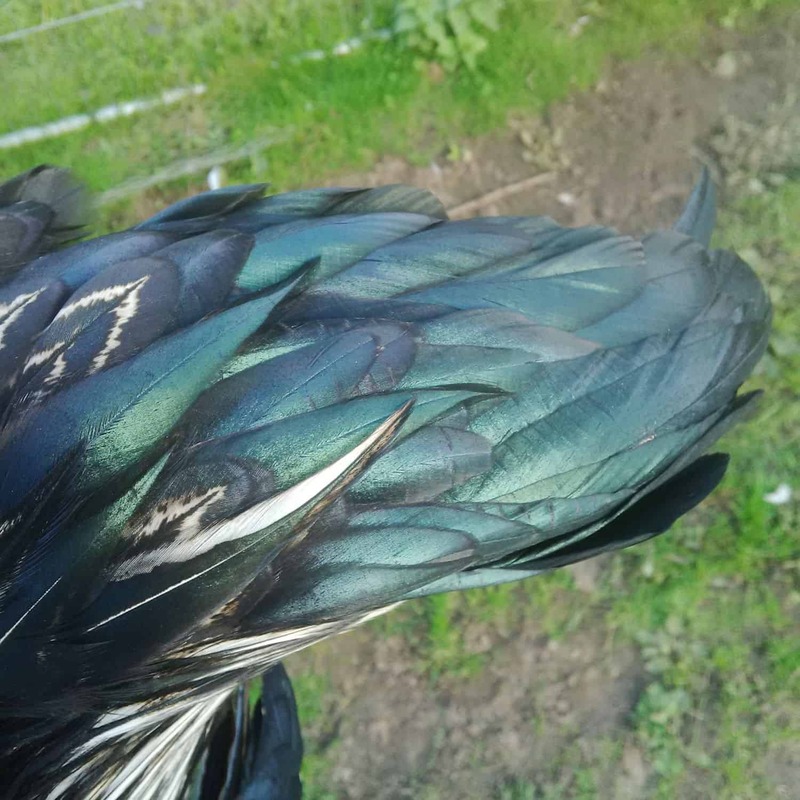 Tail, all main feathers black, with beetle-green sickles and hangers. 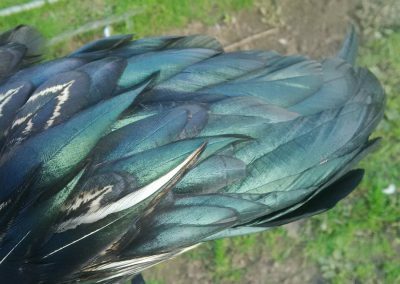 All visible black feathers and lacing to show beetle-green sheen. Undercolour dark slate. 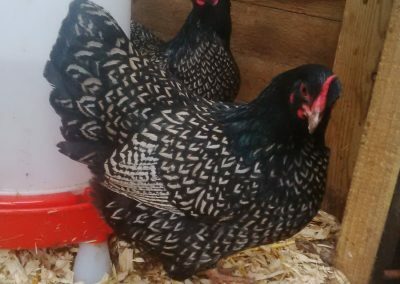 Female plumage: Hackle black with beetle-green sheen. 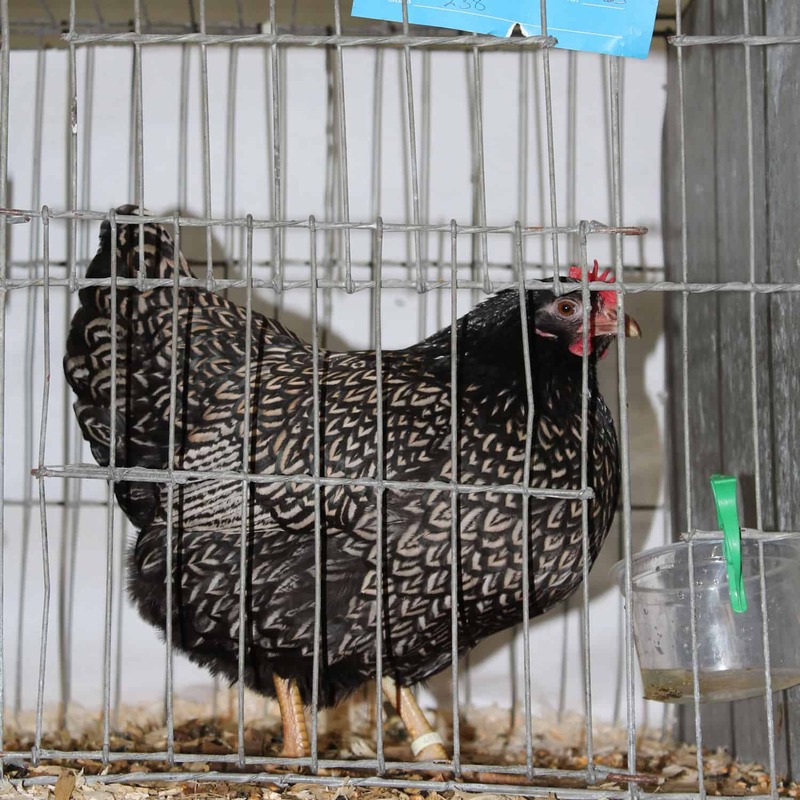 Breast, saddle, back, and thighs red-brown ground clear of peppering, each feather with defined glossy black outer lacing, and inner defined lacing, the outer to be distinct yet not so heavy as to give a black appearance to the bird in the show-pen. Abdomen black with black down preferred. Wing primaries inner edge black, outer brown, finely laced with black. 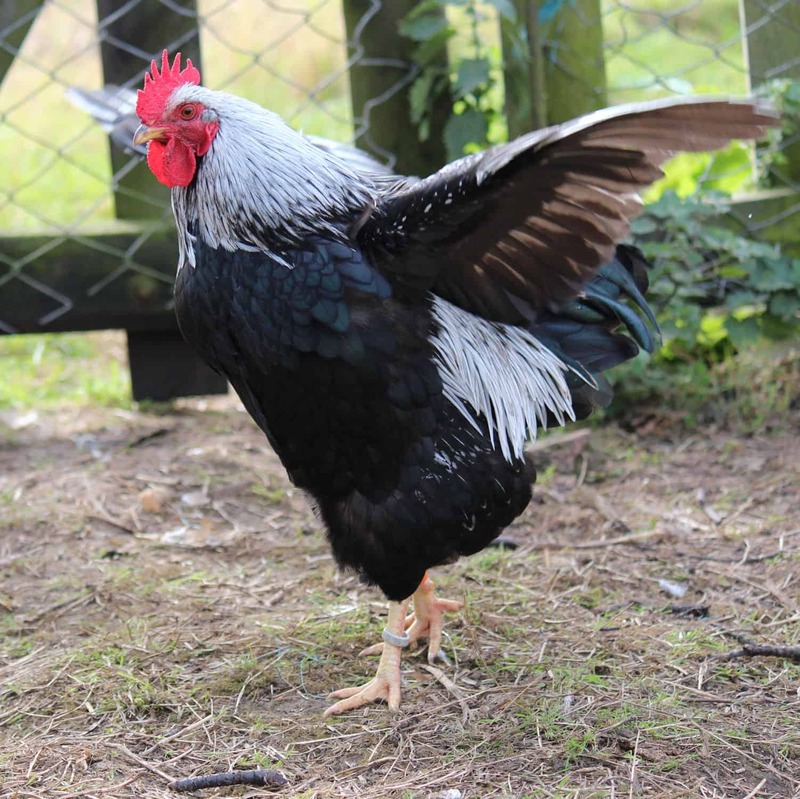 Tail, main feathers black with laced feather well up to them. Undercolour grey. 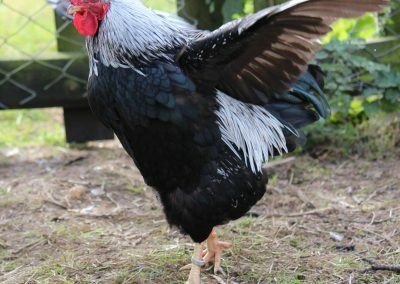 Male plumage: Hackle silver with black centres. Breast silver with black edging. Back and saddle black centre with white edges. Undercolour silver-grey. Wing primaries black; secondaries black edged with white. Tail black with beetle-green sheen; sickles edged with white. 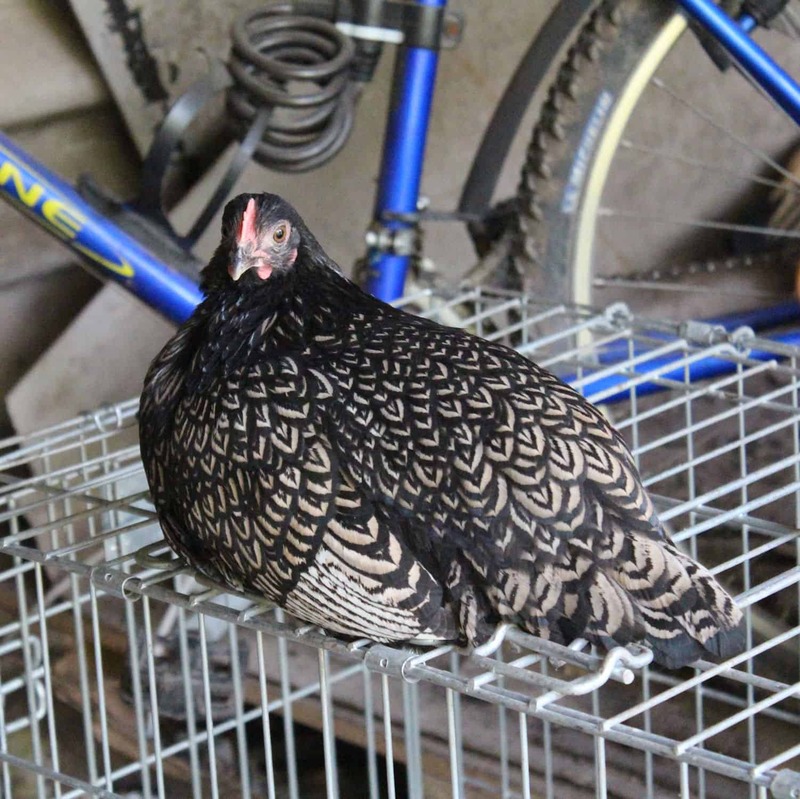 Female plumage: Hackle black centre with white edges, a little rust permissible. 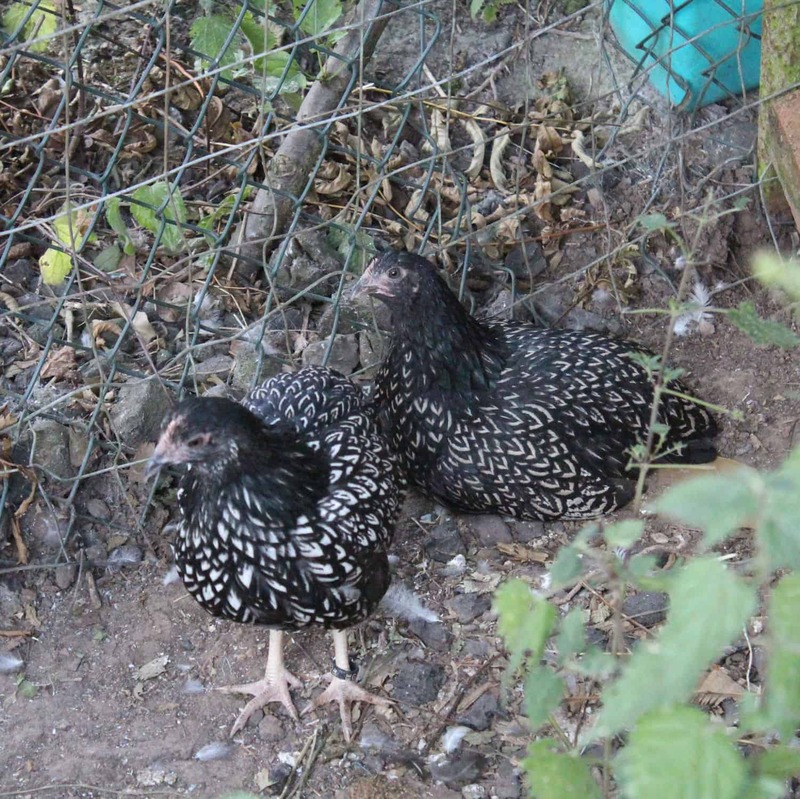 Breast white, slightly peppered, outside edge black. Wing primaries black inside, white outside, slightly peppered; secondaries well peppered. 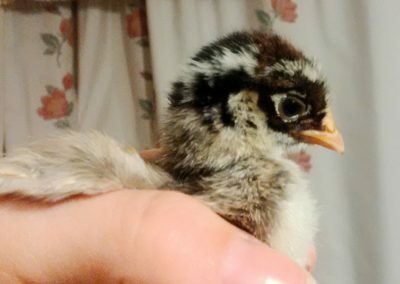 Minor: White in undercolour, flights, tails, wings, sickles or fluff. Serious: White in lobes. Squirrel or wry tail. Feathered legs or toes. 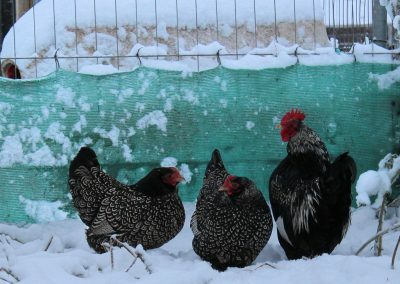 Side sprigs on comb. Crooked toes. High or roach back. Seriously deformed breastbone. More than four toes on either foot. Black legs. 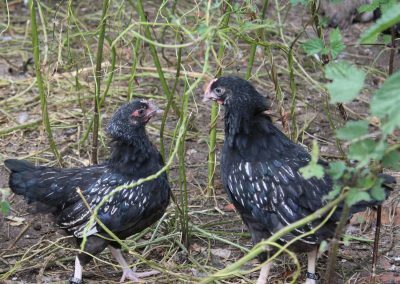 Barnevelder bantams are exact replicas of their large fowl counterparts and so standard, defects and scale of points apply. Available to pre-order for 2019.